Situated in the heart of Mallacoota the Silver Bream Motel & Self Contained Flats is the perfect place to base yourself for your stay. With the Croajingolong National park at your doorstep – and located right in the centre of everything Mallacoota has to offer. Just a 3 minute walk to town and a 5 minute walk to the wharf/boat ramp. Walking distances to the nearest beach (approx 20 minutes) and walking trails. Either choose to stay in one of our Motel Units for a short stay or for a longer stay, one of our 2 Bedroom Self Contained Holiday Flats. 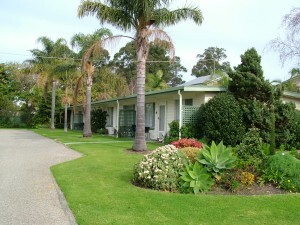 Our accommodation is rated 3.5 Stars by Star Ratings Australia (Officially Accredited Accommodation). Plenty of boat parking available. Free wifi available.